As announced in Antipode 43(5), the winner of the 2011-2012 Antipode Graduate Student Scholarship is Oliver Belcher (Department of Geography, University of British Columbia). 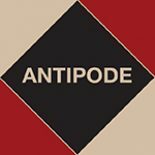 For information on the 2012-2013 Antipode Graduate Student Scholarship, including how to apply, click here. This entry was posted on 6 January 2012 by Antipode Editorial Office in Video Abstracts and tagged Afghanistan, counterinsurgency doctrine, Iraq, military occupation, military social science, population, postcolonialism, territory, warfare.